According to premises liability law, property owners and business owners are responsible for keeping their properties safe and hazard-free for invitees. While the duty of care varies depending on the nature of the visitors’ relationship with the property owner, it is safe to assume that each property owner has a duty to take reasonable measures in ensuring the safety of his or her premises. If you were an invitee on a person’s property, and if you were injured on said property due to unaddressed dangers, the property owner can be held accountable for your injuries and damages. Musculoskeletal Injuries: It is not uncommon for individuals who slip, fall, or are involved in an accident on someone else’s property to sustain injuries to the body’s musculoskeletal system, which includes soft tissues, tendons, joints, ligaments, and muscles. Head Injuries: Head injuries are one of the most common and severe injuries we see in premises liability cases. Head injuries are generally the result of falling objects and objects placed too low, but they can also result from slips and falls. Unfortunately, individuals who sustain head injuries often experience lifelong repercussions that stem from traumatic brain injuries and chronic traumatic encephalopathy. Broken Bones: Broken bones and fractures are also extremely common to see in premises liability cases. 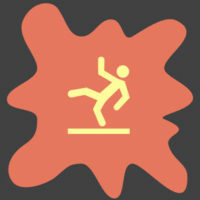 Typically, these types of injuries result from slip and fall accidents, or from activities that are not properly supervised by the property owner. Every person’s injuries are going to be slightly different, even if the cause was the same as another victim’s. However, no matter what your injuries are or what kind of damages you have experienced as a result of said injuries, it is important to understand that you have legal rights to compensation if your accident was the result of a property owner’s negligence. At Spencer Morgan Law, we have extensive experience in dealing with premises liability accidents and in helping clients recover compensation for their injuries. If you were injured on another person’s or entity’s property because the property owner failed to reasonably maintain his or her property, remove or repair a hazard, or warn you of an existing hazard, you may have a premises liability case. Contact our Miami premises liability lawyers to schedule your free case evaluation today.